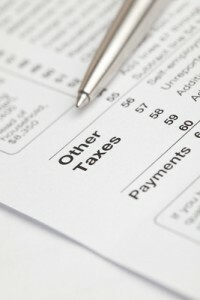 What tax deductions are available to oil and gas royalty owners? The Federal Income Tax Code provides deductions that encourage exploration, development, and extraction of fuels from domestic oil and gas wells. These deductions are available because our nation values the contributions made by oil and gas royalty owners to our national economy and energy security. Most royalty owners are aware that oil and gas mineral royalties are treated as ordinary income and taxed at their marginal (highest) tax rate. Let’s look at the three major deductions that benefit oil and gas royalty owners. Depletion is the using up of a natural resource by drilling, mining, quarrying or felling. In the case of mineral owners, it is the reduction of reserves as the oil or gas is produced and sold. The IRS code allows the mineral owner to use the depletion allowance of 15% as a deduction from their taxable income. In addition to inherited mineral rights, the depletion allowance may also be claimed if you have purchased any interest in minerals and you have a legal right to income from the extraction of the minerals. 15% is subtracted from 100% of gross income from crude oil or natural gas, leaving 85% net taxable royalty income. Oil and gas lease bonuses are considered rental income, taxed at the same rate as ordinary income, and reported on a separate Schedule E. An advantage of filing this Schedule is that you can deduct IRS approved costs you incurred while negotiating the lease, such as legal and professional fees. Oil and gas royalty income deductions are also available. All royalty owners pay a share of severance taxes, which are state taxes on production. Under the terms of many oil and gas leases, royalty owners pay a percentage of transportation, compression, processing, and marketing costs to get their oil and gas produced and sold. By adding up all these taxes and fees on your royalty checks for the year, you can deduct them on your Schedule E.
There are also deductions available for oil companies and investors in oil wells. A working interest owner has an interest in oil or gas that includes responsibility for all drilling, developing, and operating costs. Producing and operating companies are working interest owners. Royalty owners are not responsible for any drilling and operating costs. However, some mineral owners decide to take the risk to develop their own minerals and become both royalty and working interest owners. The tax code specifically excepts working interest in an oil and gas well and states that it is not a passive activity. If you invest in oil and gas wells you may deduct any losses created by those wells from your active income generated by stock trades, business income and salaries. Mineral owners are allowed tax relief by the IRS for producing and depleting nonrenewable resources such as oil and gas. By using the percentage depletion allowance and deductions available for bonus and royalty income, royalty owners get to keep more of their oil and gas royalty income. This entry was posted in Mineral Owners by rkingco. Bookmark the permalink.